Hello! 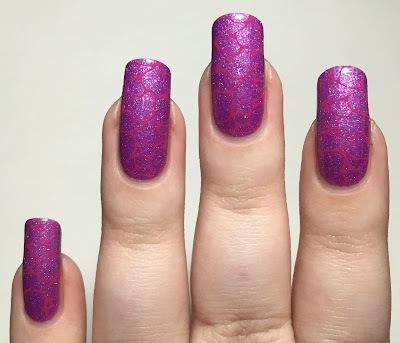 Today I have something a little bit different - a stamping plate review. 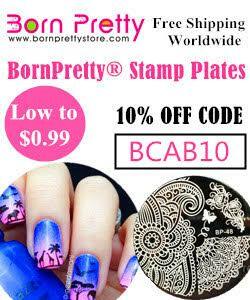 Now I have shown and reviewed stamping plates before, but not quite like this. Instead of showing a single mani using the plate, I want to start showing several. I recently won three Creative Shop plates from Rainbow Connection so thought I'd start with one of those. In this post I have four different manis to show you using plate 16. Read on for a closer look at each one! To start off, here's a quick look at the plate itself. It has a massive variety of patterns which could be used in endless ways. There are 14 images in total, each measuring 15mm by 25mm. My first look for this plate was my mani for 26 Great Nail Art Ideas prompt 'New Year New You' earlier this month (post here). I used a base of Barry M Cosmetics 'Starfish', stamped the worded image with Hit The Bottle 'As Black As Night', and finished with Barry M matte topcoat. 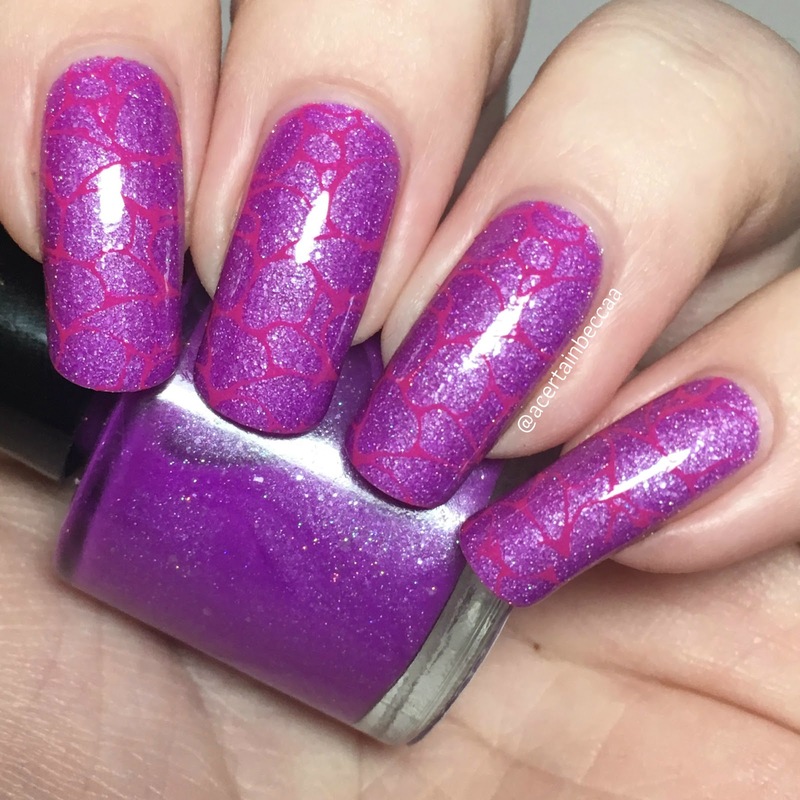 Next up I used the flower image over Ever After Polish '29' (swatched here). I stamped in white using Hit The Bottle 'Snowed In'. My boyfriend couldn't work out if these were roses or lollipops, I went for roses but it could be either really! 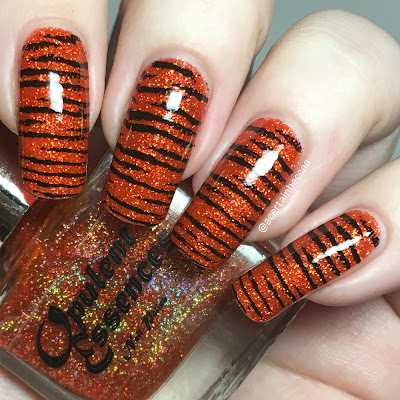 Next I created a tiger stripe mani. I stamped the fuzzy striped pattern over Opulent Essences 'Tango' (swatched here) with Hit The Bottle 'As Black As Night'. This pattern could be used so many different ways, from general stripes to zebras/tigers, or even as a scratched look. 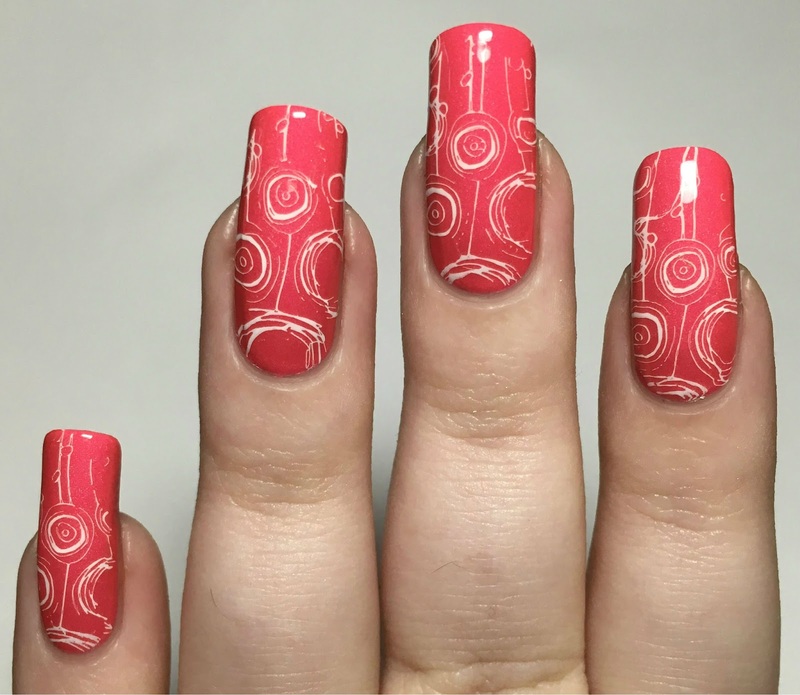 Finally I went for the cracked/bubbled pattern on the top row. I stamped using a Born Pretty Store pink over the top of OccasioNail 'Purple Panther' (swatched here). Again there are so many different ways you could use this image. What do you think? This is the first Creative Shop plate I've tried, and I'm impressed! The images are really big and easily cover my long nails. I sometimes tend to avoid more detailed designs as thinner lines can be tricky, but I had no problem picking up or transferring any of these images. 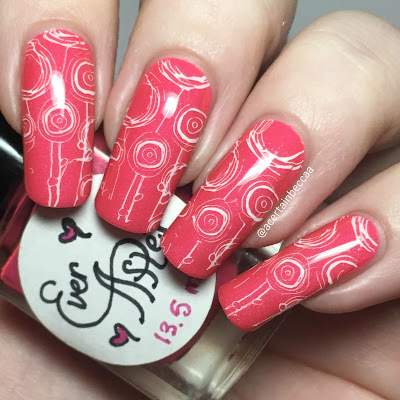 I've also just realised I've only done direct stamping and no decals/reversed stamping, but that would work too! I can't wait to play with the other two plates! You can find the Creative Shop stamping plate 16 over at Rainbow Connection here - where it is currently on sale for £5.50 (normally £6). Fantastic! And a perfect job. 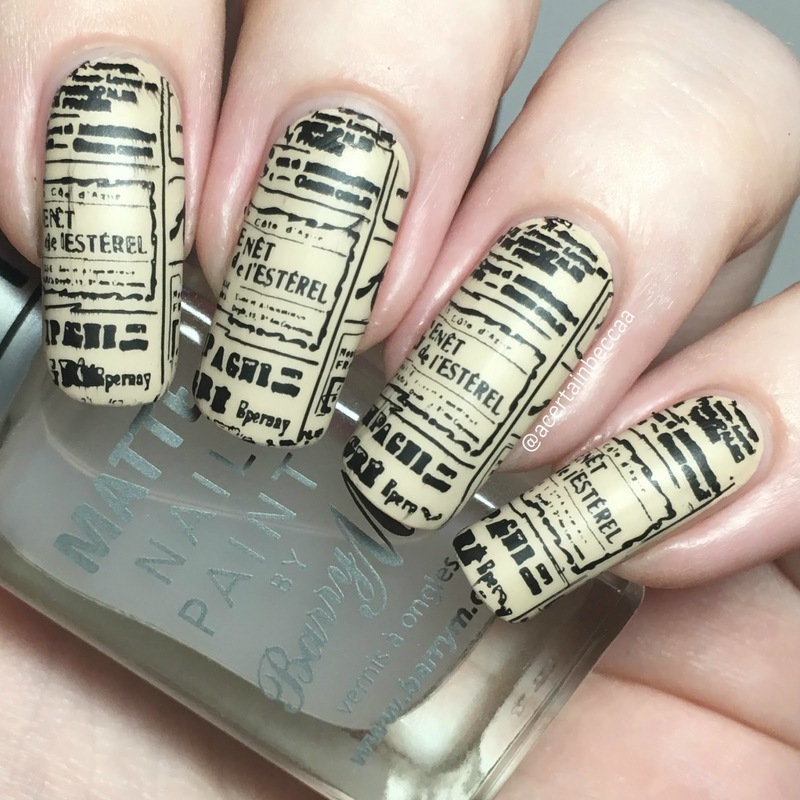 The tiger stripe and the newsprint are my faves. 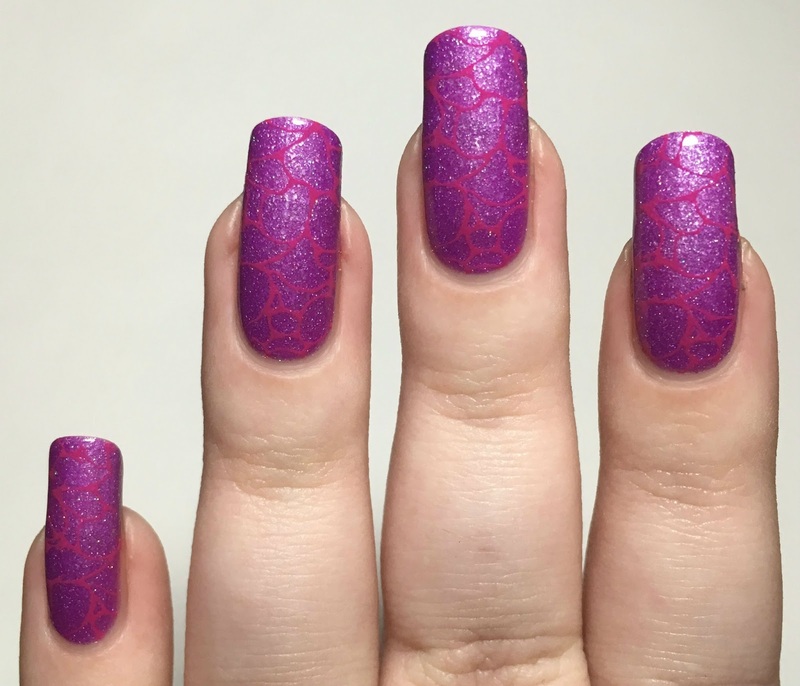 It's good to know the images are big enough for long nails, and there are some really pretty images there! I totally thought lollipops too! This is a great assortment of images! OMG I love the tiger stripes. And the lollipop/roses stamping is a perfect Valentine's Day mani! I'm voting definitely roses on the second one. I love the newsprint too. I love everything you did with this plate! Your color choices were spot on! I like this plate! 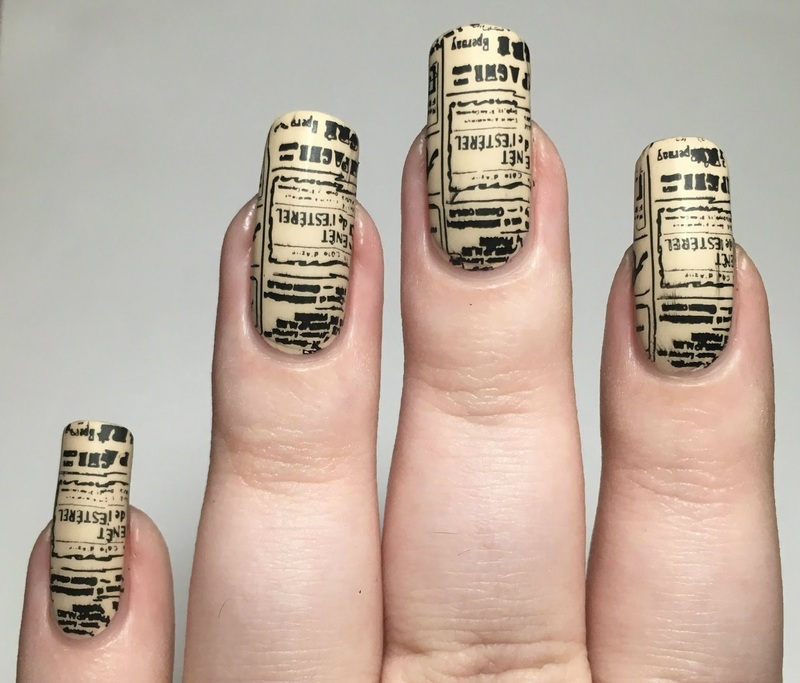 The newsprint one is my favorite, but they're all gorgeous! 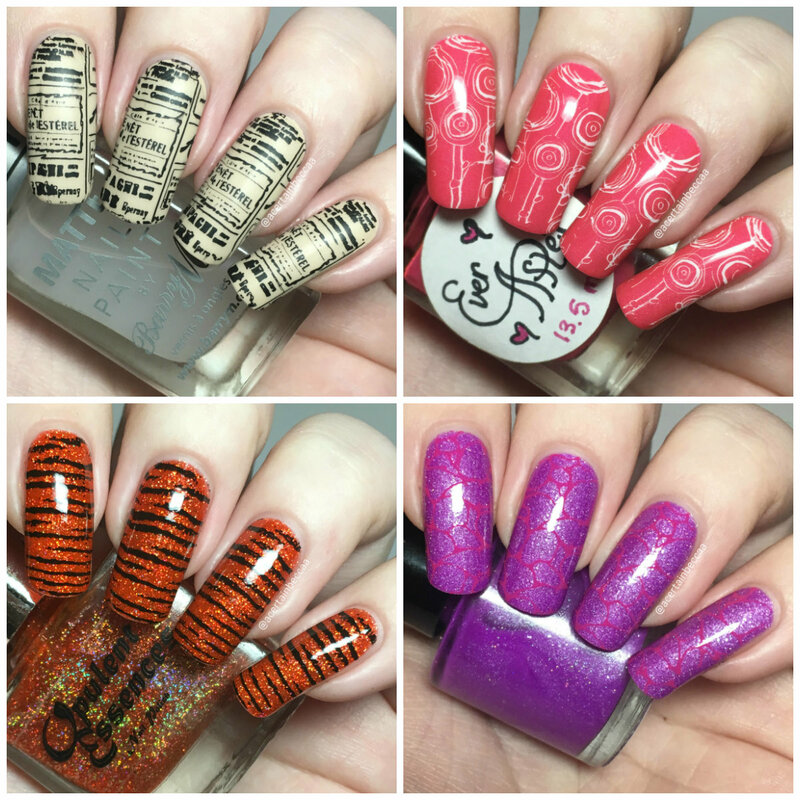 Love all of these, especially the tiger stripes!